Natural heishi cut labradorite is polished to reveal dark depths and mysterious flashes. 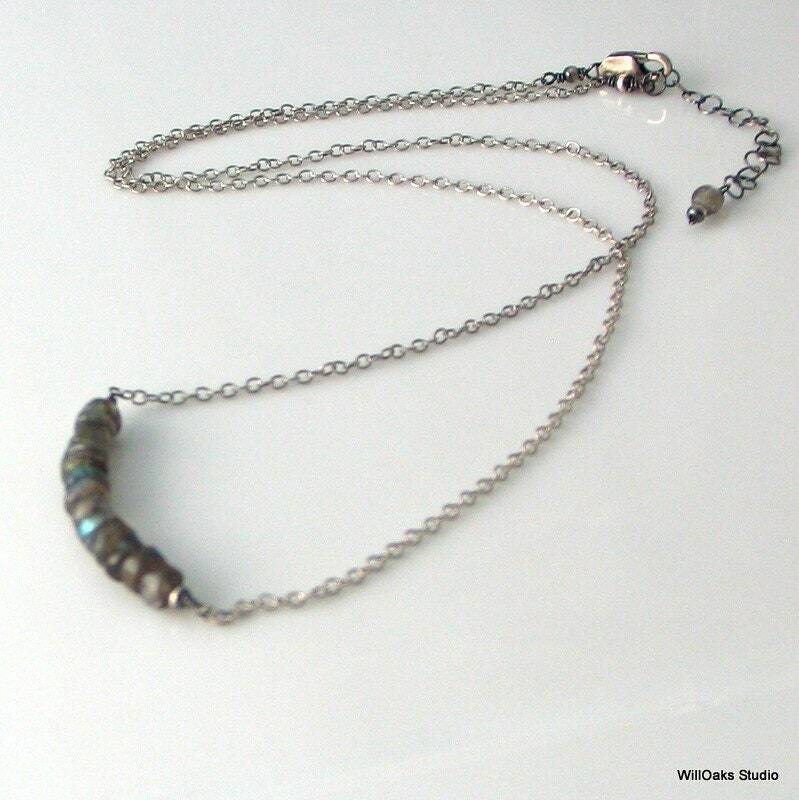 This bar pendant necklace features a row of stones along an oxidized sterling silver wire bound to fine oxidized sterling chain for an original rustic, yet elegant, pendant. Part of my “Stacked Stones" series. The necklace length is 16" with a 2" extension chain. It closes with an oxidized sterling clasp. 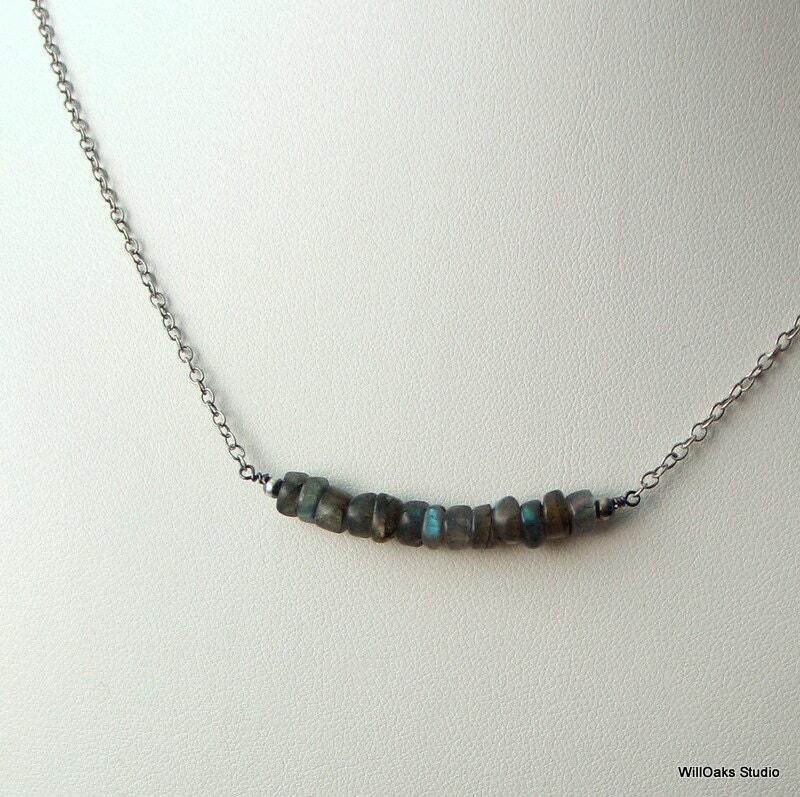 The labradorite "stacked stones" focal point is about 1 3/4" long. 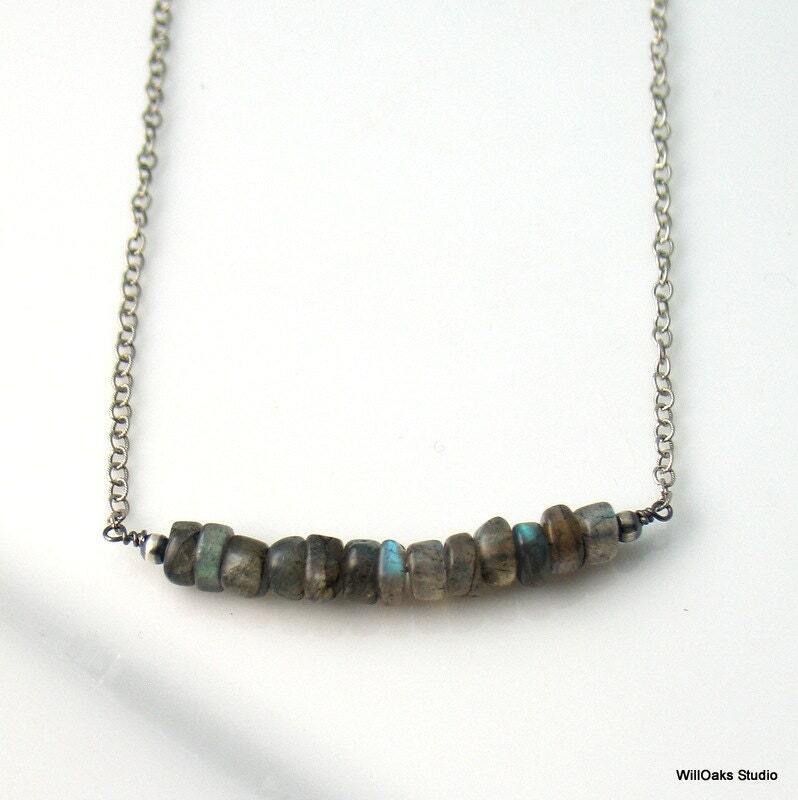 Necklace coordinates beautifully with the labradorite bracelets in this series, here https://www.etsy.com/listing/127164726/labradorite-bracelet-of-heishi-faceted? 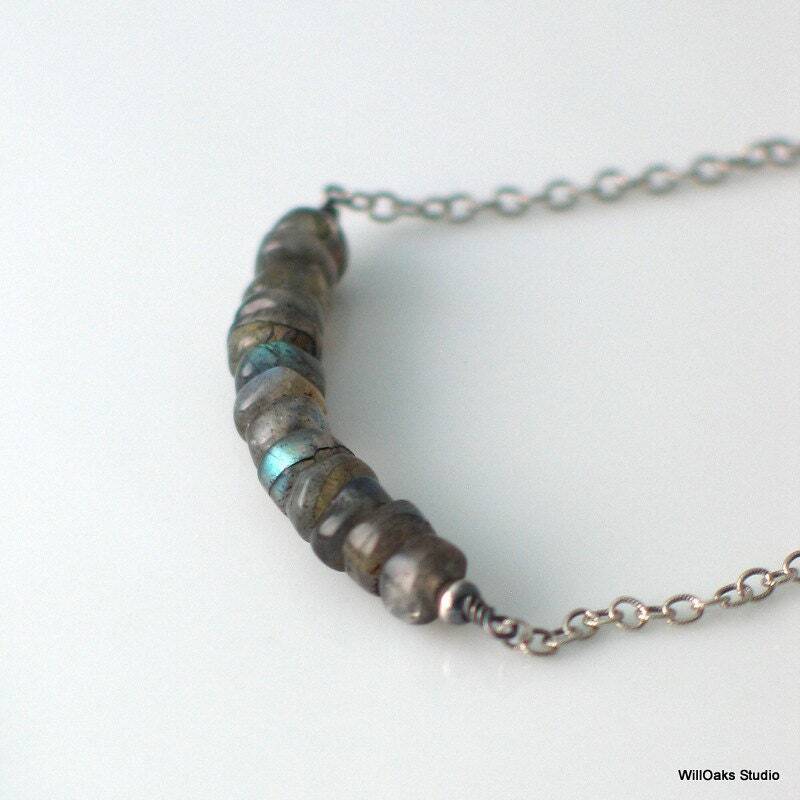 or here https://www.etsy.com/listing/127261843/labradorite-nuggets-bracelet-stones-and? Other finished lengths are available by special order--please drop me a note! is inspired by hiking and mountain climbing; by my fascination with stones stacked as markers (cairns), boundary lines, and fences, by geological formations, and simply by the awesome beauty in small, irregular bits of stone and the challenge to somehow bring the bits together into a wearable art form. Minimal but making an elegant statement as a celebration of nature. love the oxidized finish and that I can adjust the length! This is a great casual necklace when you don't want to drag out the typical gold and silver jewelry. 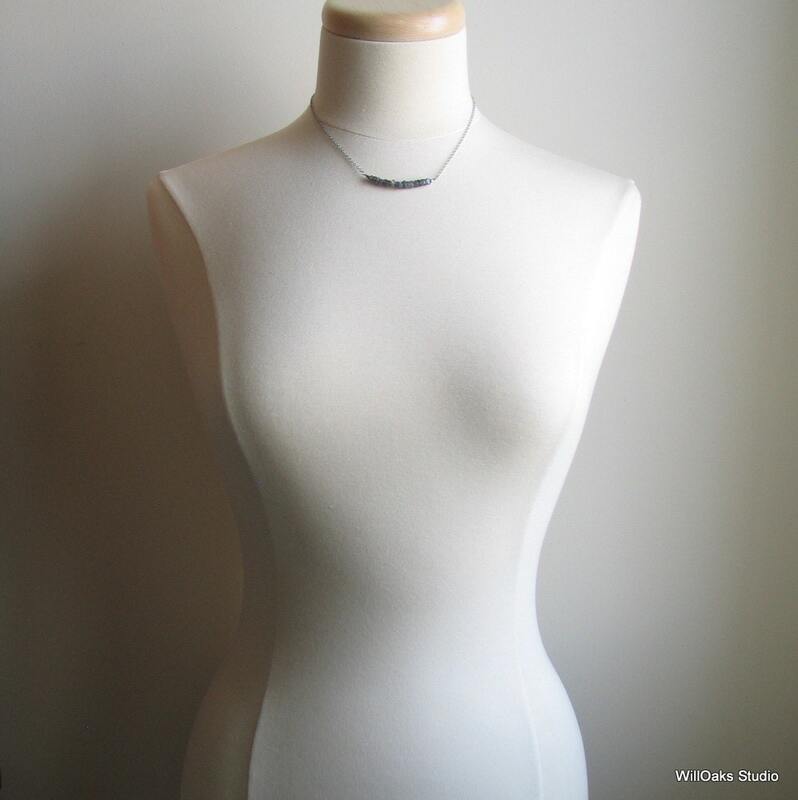 Holds its own on a thick nubby sweater without being "lost." This is now my "go to" necklace! The chain has varying lengths, which is nice depending on what you are wearing.